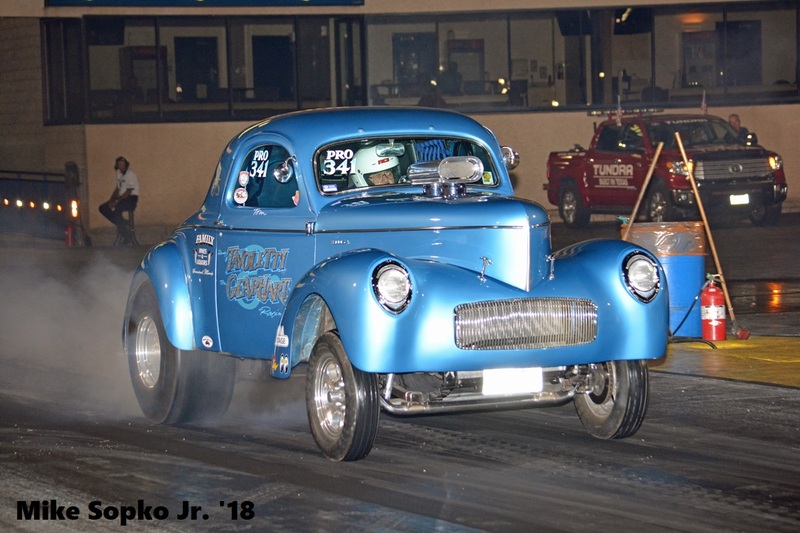 The beautiful "Taoletti and Gearhart" '41 Willy's. 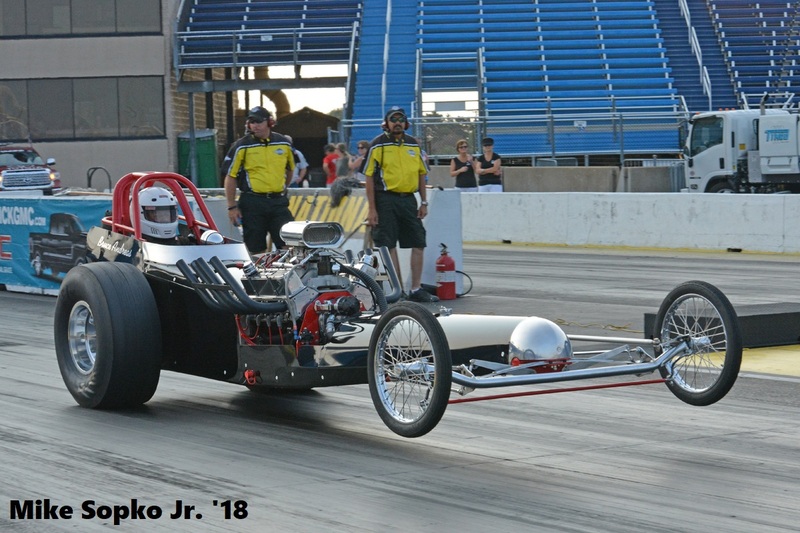 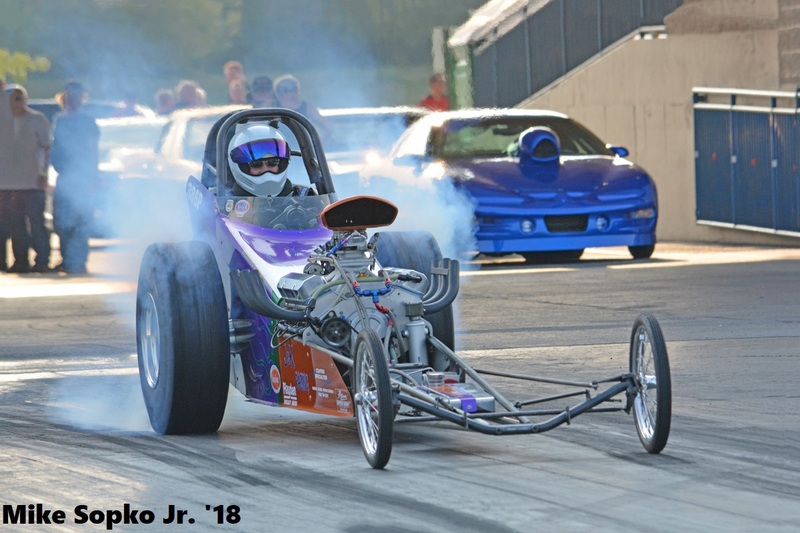 Bruce Andreas lifts the wheels in his front engine dragster. 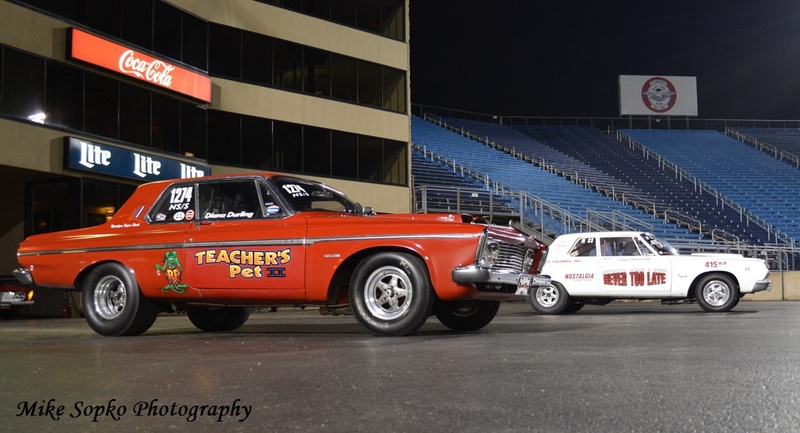 Mopar vs. Chevy Pro Stock battle! 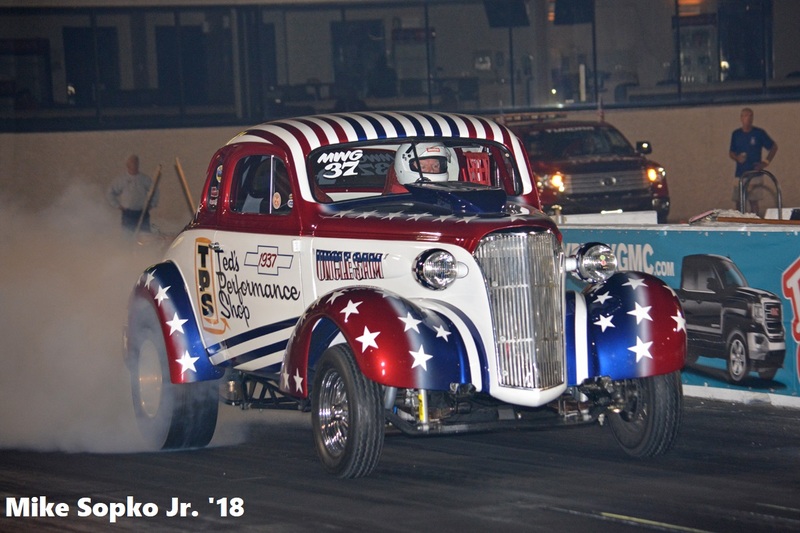 The "Uncle Sam" '37 Chevy burns the hides. 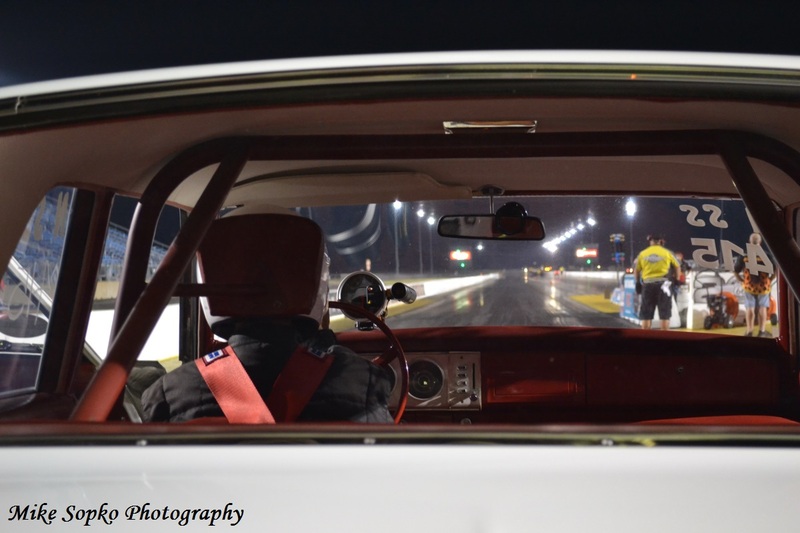 A beautiful launch by John Grinwald's driver in John's Ford Thunderbolt. 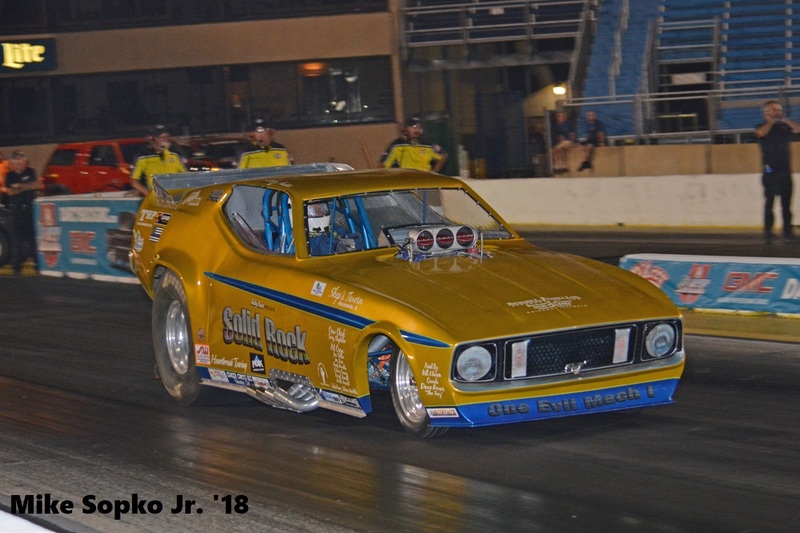 Rocky Ausec leaves the line in his "Solid Rock" Mustang. 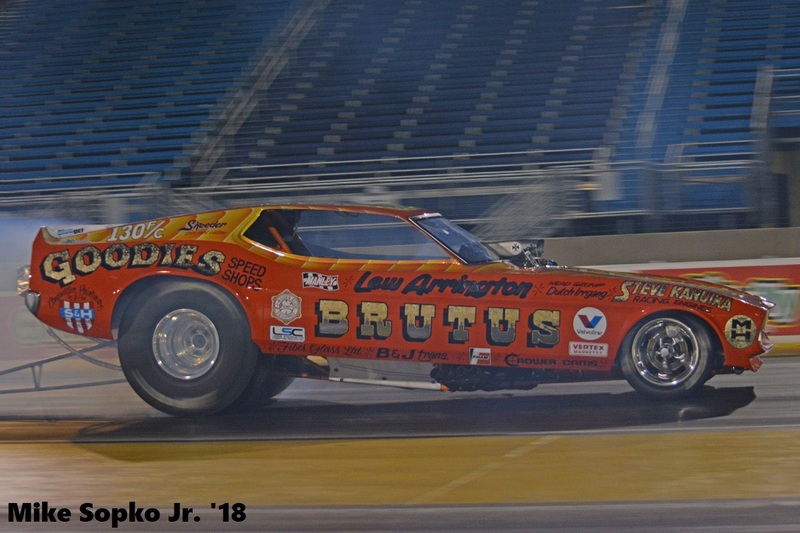 John Troxel's new "Brutus" funny car. 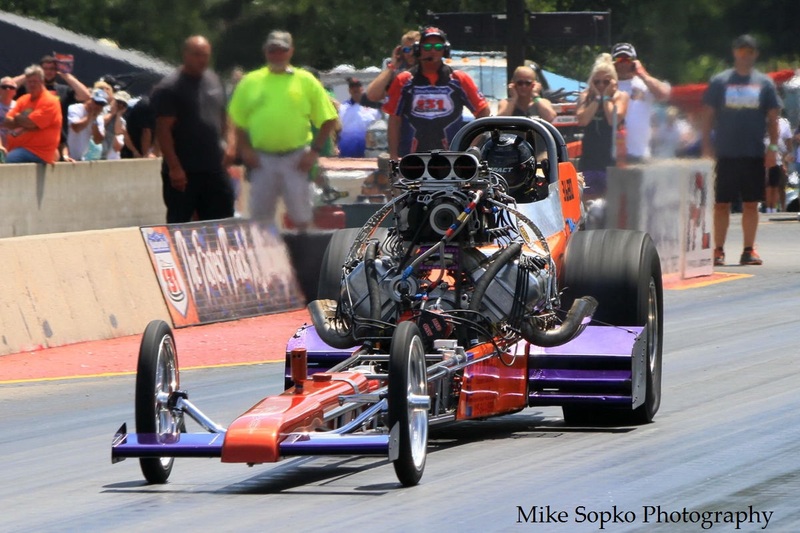 A front engine dragster burns out prior to making an exhibition run. 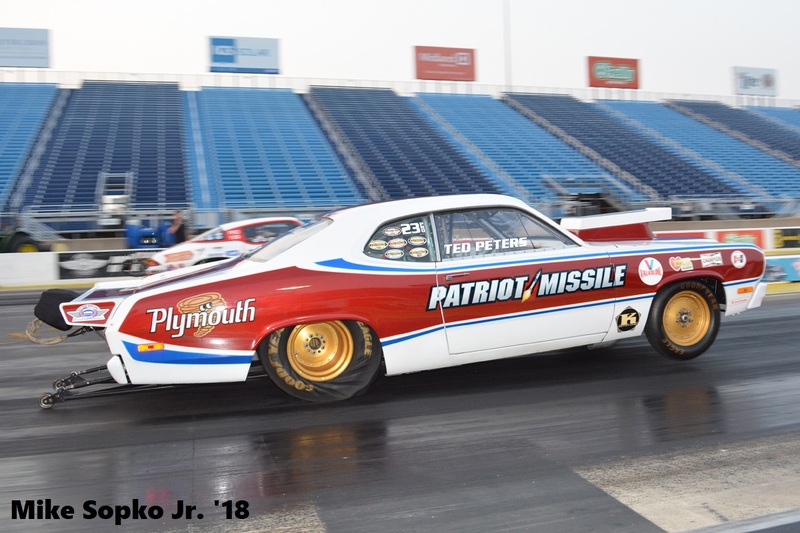 NHRA/Route 66 Track Offical launches in this "Patriot Missile" Pro Stock. 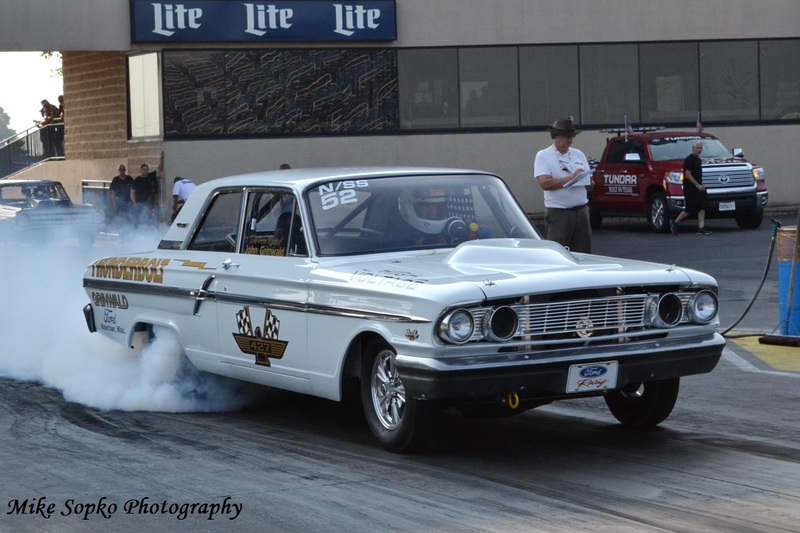 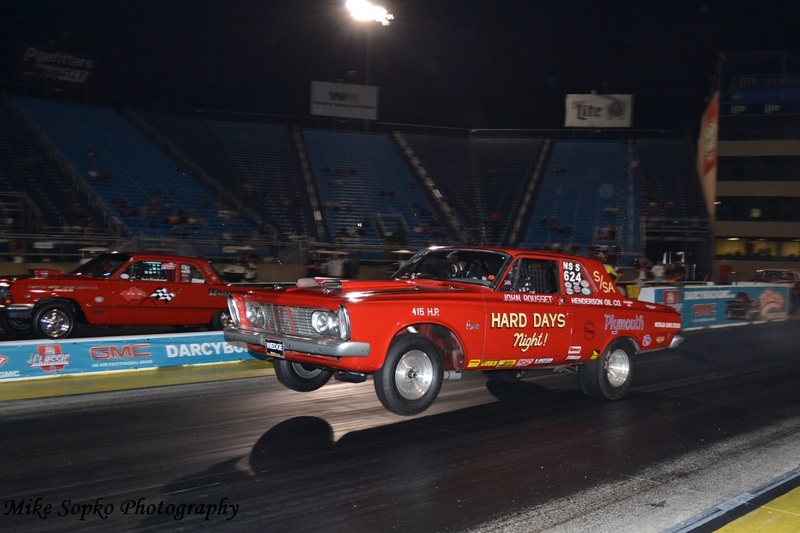 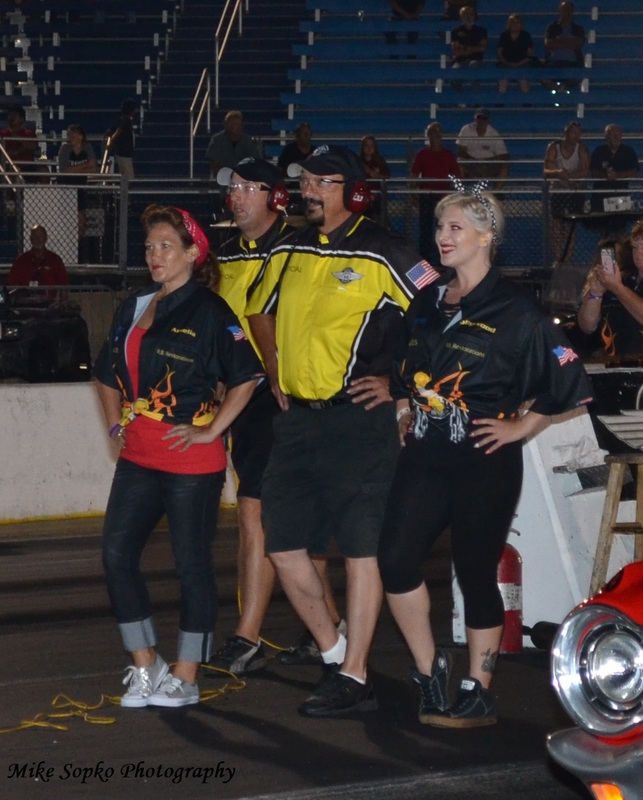 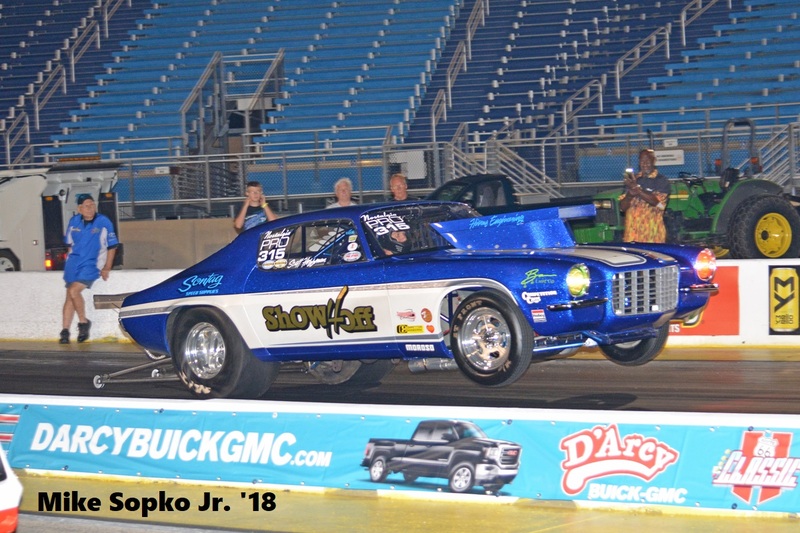 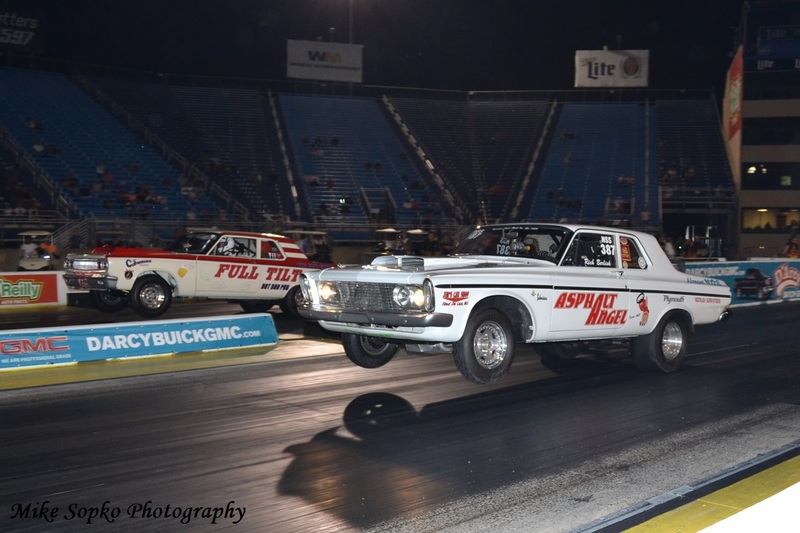 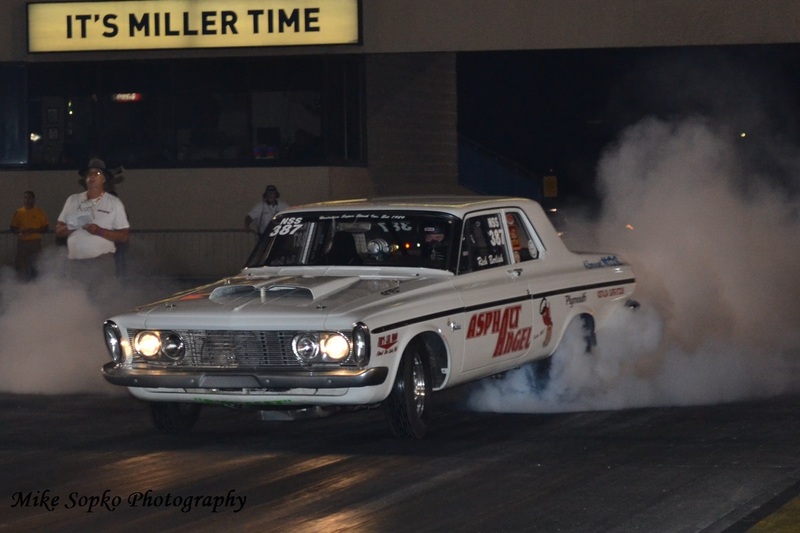 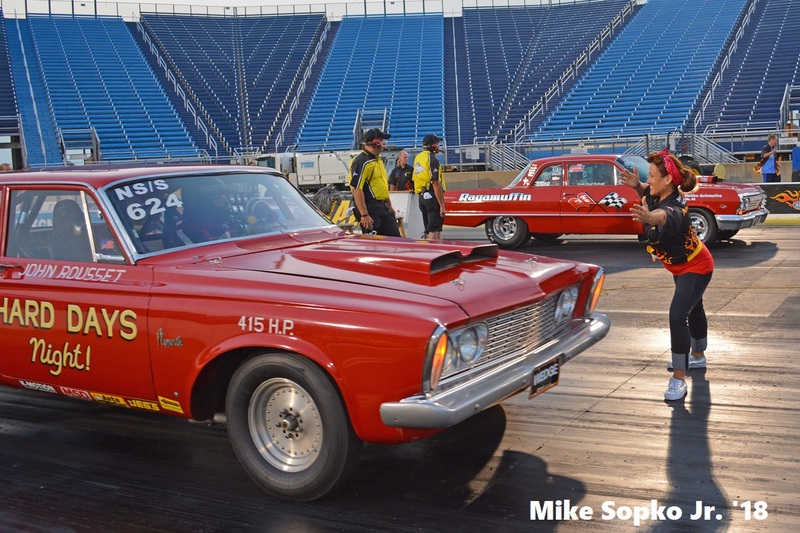 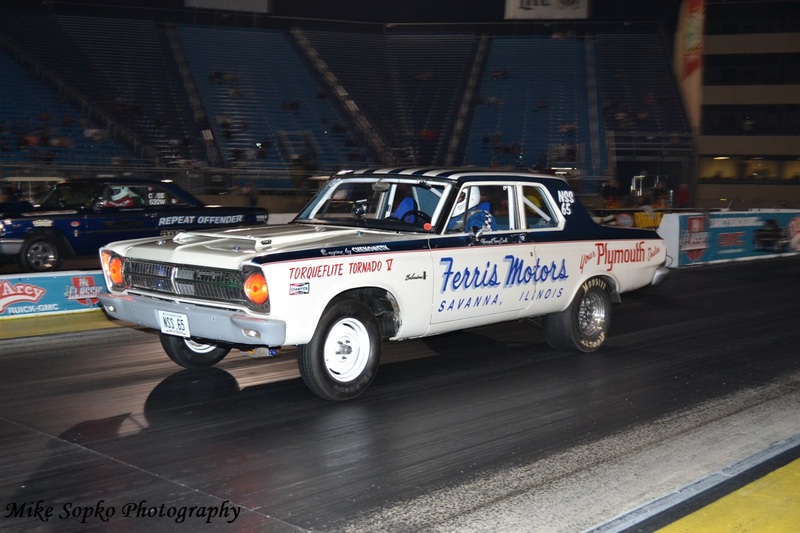 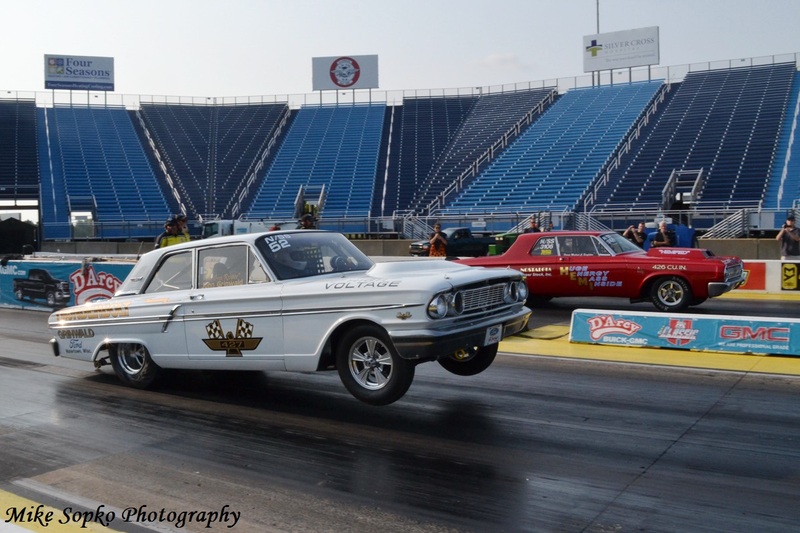 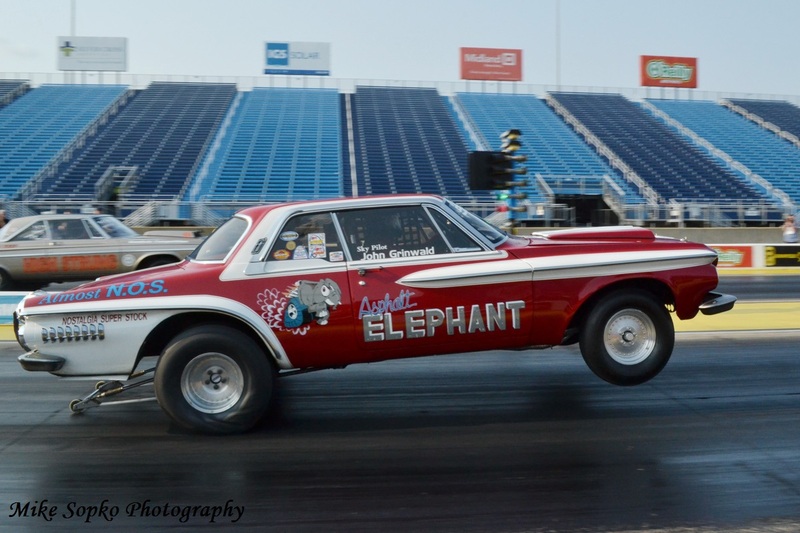 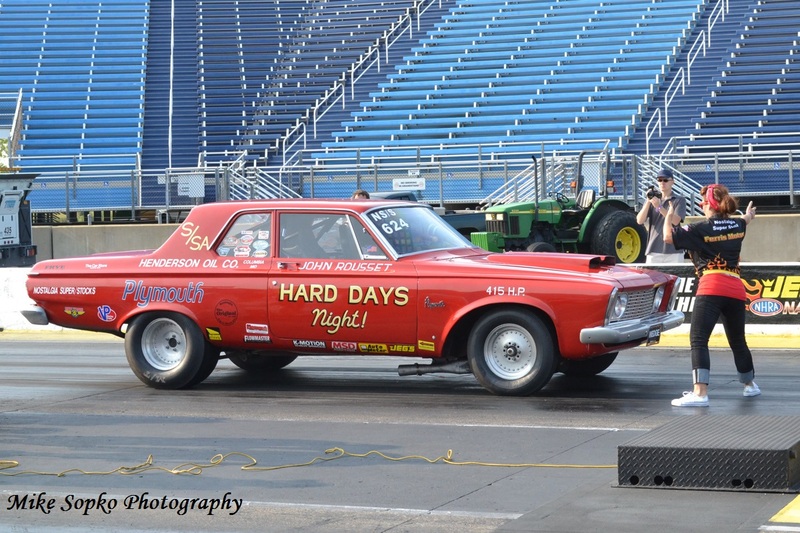 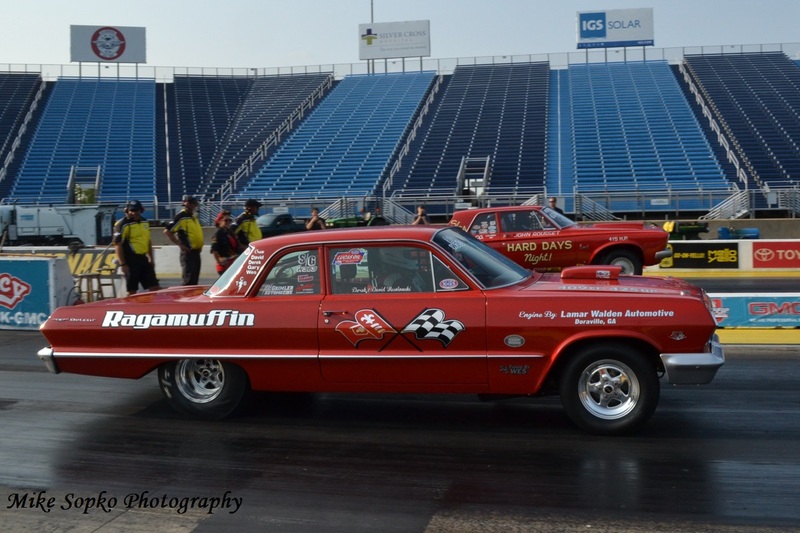 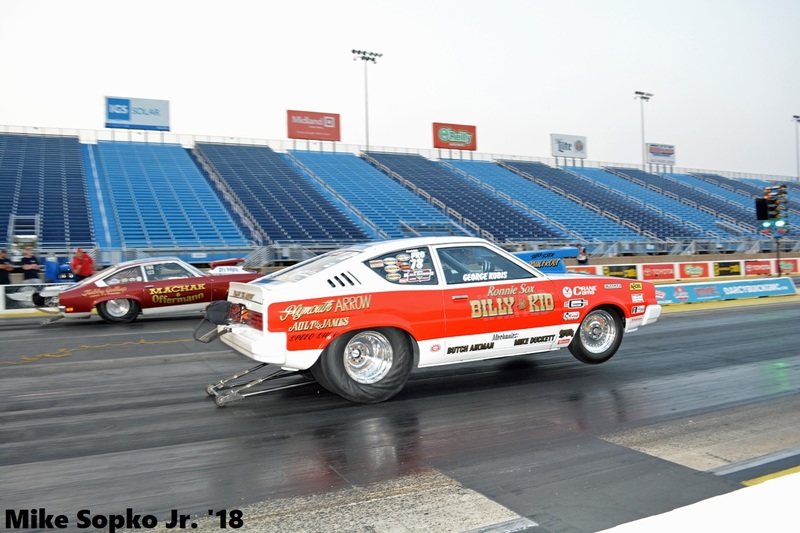 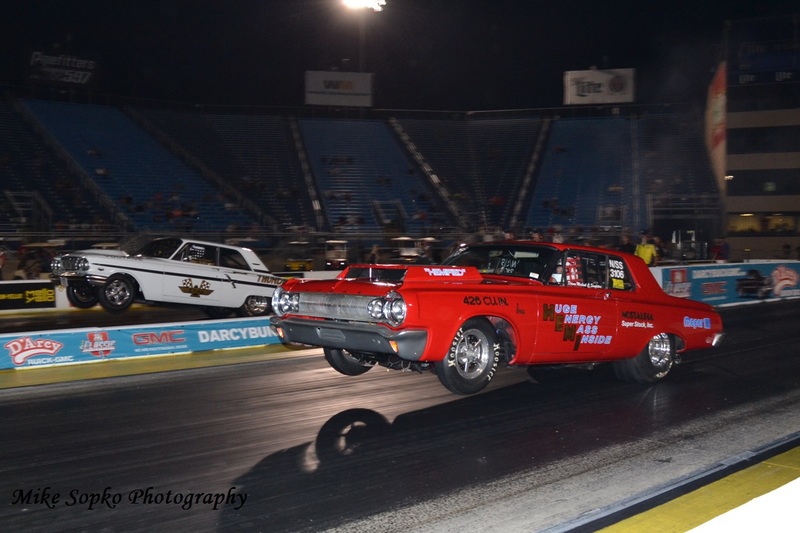 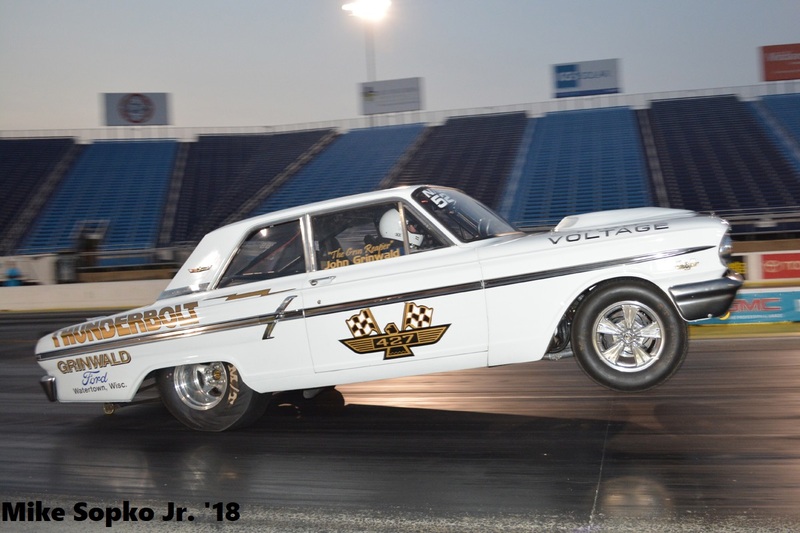 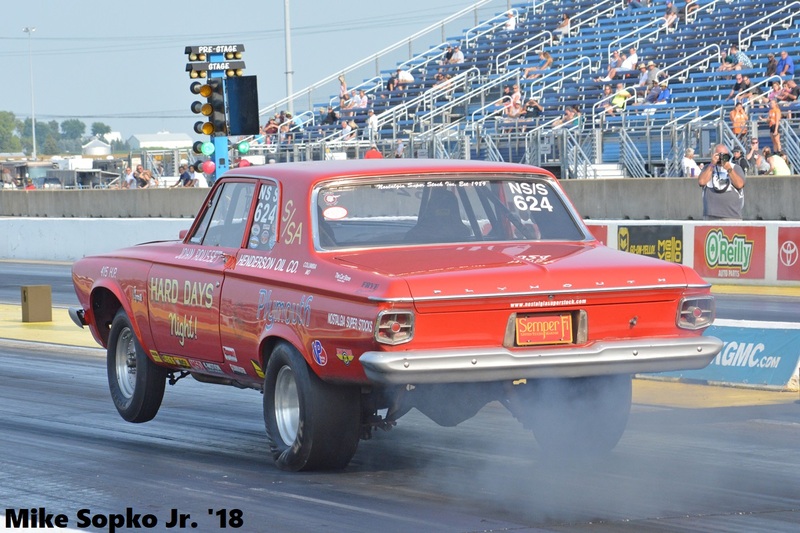 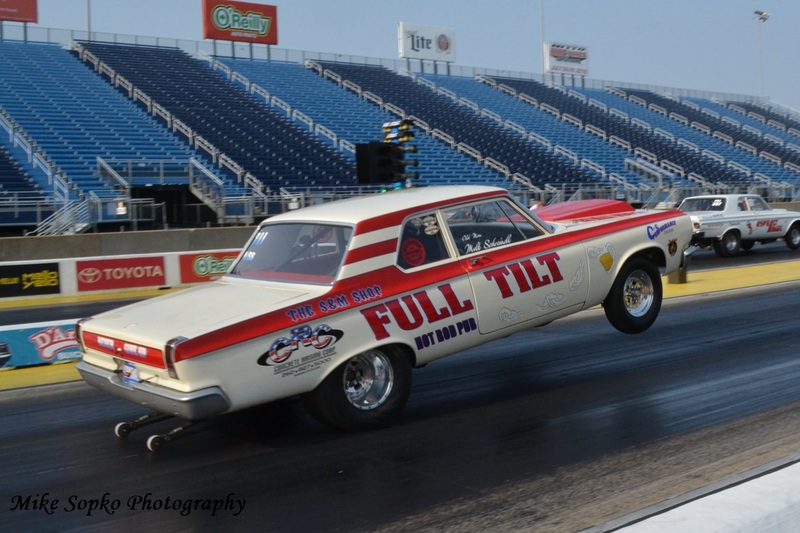 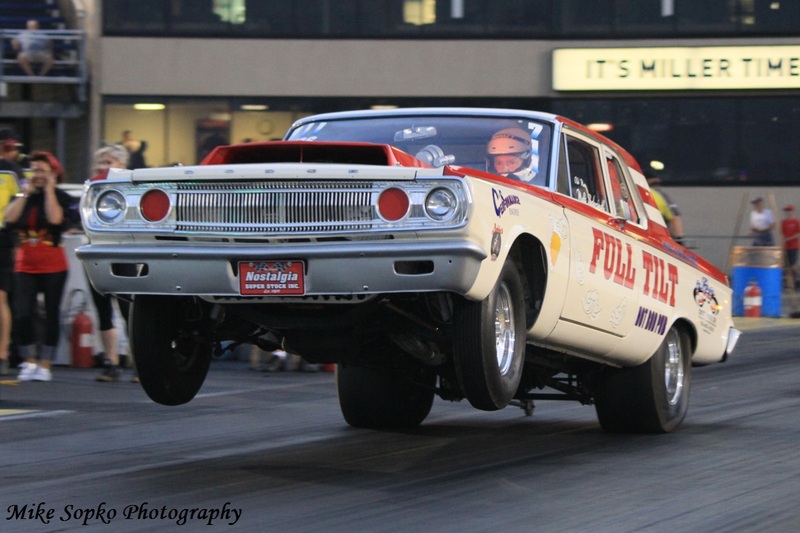 John Rousset consistently lifts the wheels when launching in his Nostalgia Super Stock.